Built ca 1852 for Richard Hunt and James Jewett. 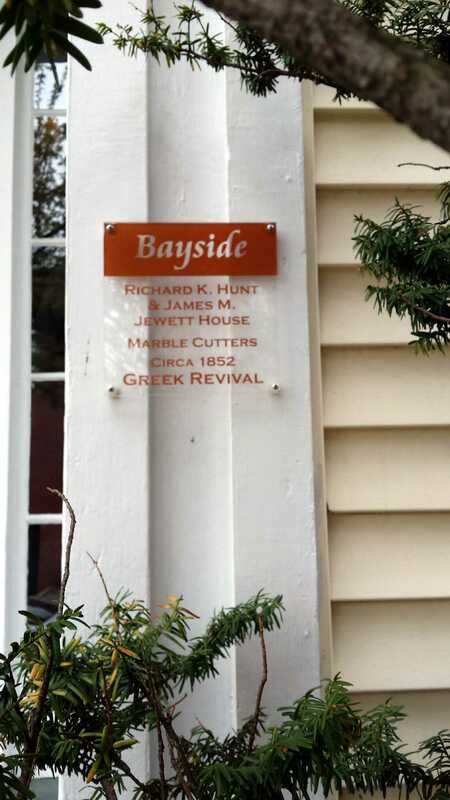 A Greek Revival double house on the slopes of Bayside. The age of steam brought great economic increase to Portland. With a deep, ice free port and being a half a days sail closer to Europe than any other American port, it grew in leaps and bounds in the 1840’s. As shipping and it’s supporting fields grew, so did the city both in population and size. Enterprising citizens started filling Back Bay in the early 40’s and at the time our subject was built, the move to construct Commercial Street was well under way. This growth was seen in Bayside with the búilding of several modestly sized double houses in the “urban” mode of Greek Revival. 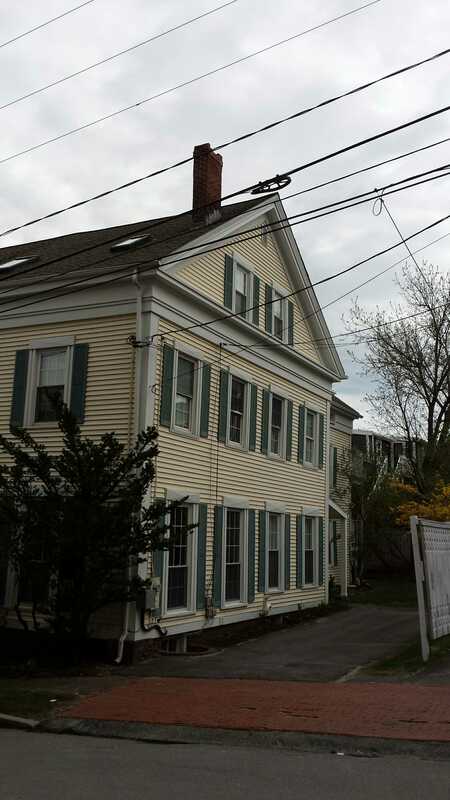 This mode is characterized by having the long side of the building as it’s main facade whereas the “classic” mode has the gable end as the facade. 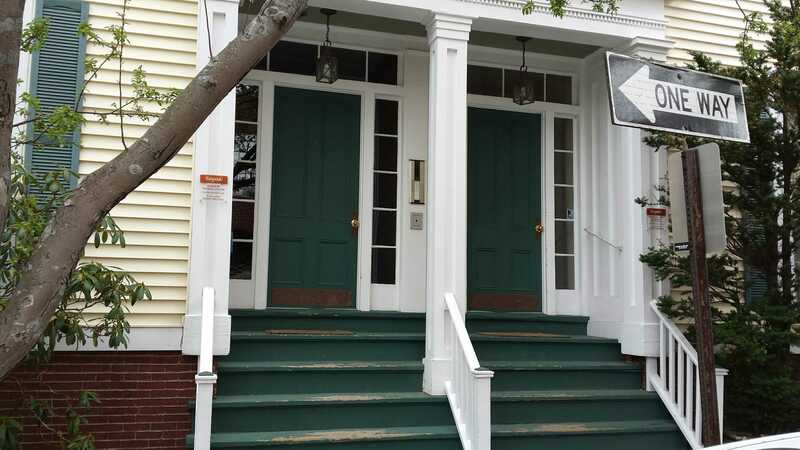 The classic style can be best seen in Charles Quincy Clapp’s home on Spring Street or, more modestly, at 67 Gray Street. Here we have a rather large example. A full 2 stories with a 3rd under the garrett and a very large ell. 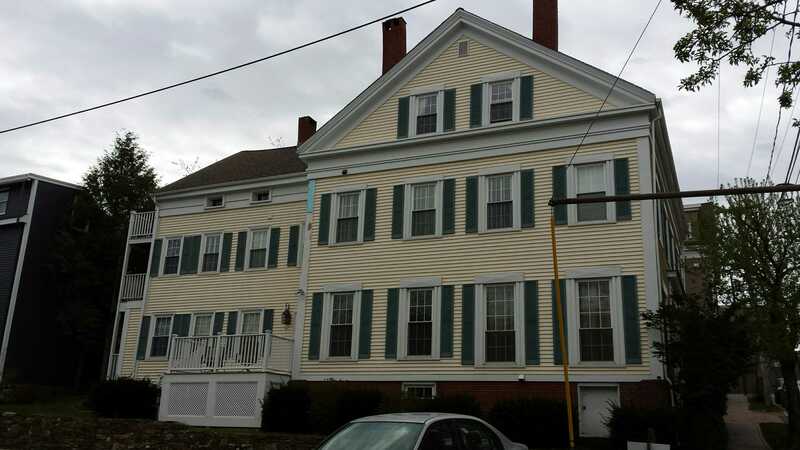 According to the historic plaques on the house, it was built for 3 people. Beckett’s 1858 city directory lists Jewett & Hunt as operating from 310 Congress Street and living at 3 Parris. The profession listed here is questionable. More on this later. Beckett’s 1858 city directory lists James M Kimball as operating his carriage business from 304 Congress Street and living at 1 Parris Street. Using the numbering system in place at that time, the current position of said plaques is backwards. 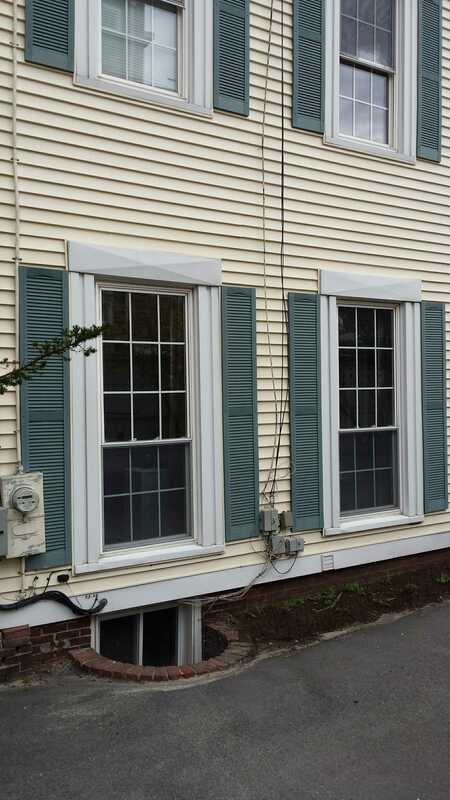 It’s straightforward Greek Revival. From the corner pilaster and full architrave to the full height windows in the first floor front rooms and the closed pediment, it checks all the boxes. James and Arvilla Kimball were born in Rumford Maine in 1817 & 1818 respectively. 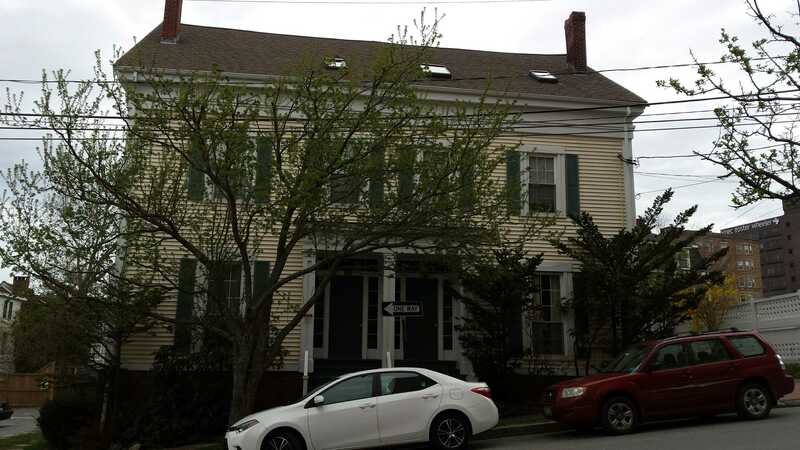 The date of their move to Portland is unclear but James first appears in the registry of deeds when he purchased his half of the Parris Street house in 1854. The property was purchased from Richard Hunt whom had purchased it from James Jewett. More on that below. 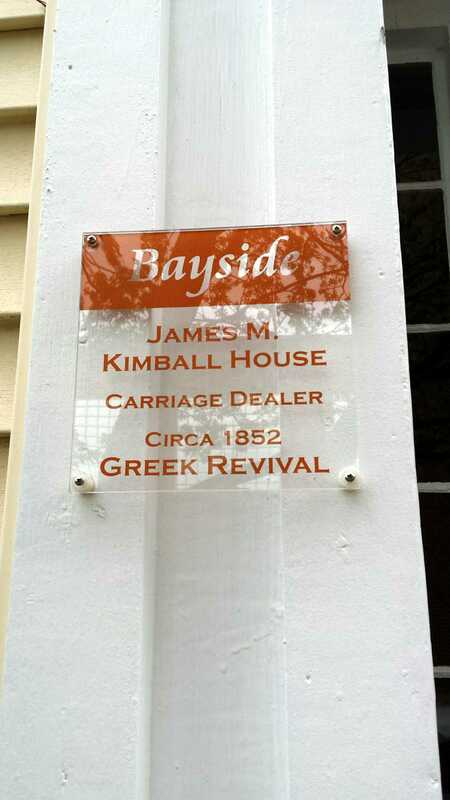 Kimball seems to have been successful in the carriage trade. Beckett lists his residence on ‘Pine, near the Western Promenade in 1873. James died in 1892 and Arvilla would in 1897. They were buried in Evergreen Cemetery under one of the cemetery’s 4 ‘Weeping Lady’ monuments. The plaque for Misters Jewett and Hunt seems to be incorrect. Beckett’s directory of 1858 gives no information as to what Jewett & Hunt actually did. There are entries for other city residents as ‘marble worker’. Moreover, in 1873, Beckett would list Jewett & Hunt as ‘commercial merchants’. Although it is possible they made a complete change of business models in 15 years, it seems unlikely. Richard Hunt died in 1878. He was buried in Evergreen Cemetery. For James Jewett, after Beckett’s listing of 1873 things become cloudy. A court judgement in 1854 stripped him of ownership in the Parris Street property although he would continue to live there after his partner purchased the seized property. The US census for 1870 lists him at the same address but the data was transcribed with his name as ‘Jerrett’. He is also listed as having a wife and 2 daughters. He is not listed on any deeds after 1867 and, after the notation of 1873, he seems to vanish from the record. The house is in good shape with most of the exterior covered in vinyl, don’t even get me started. It is listed in the tax roles as 5 condominiums with 3, the main block perhaps, owned by one family. 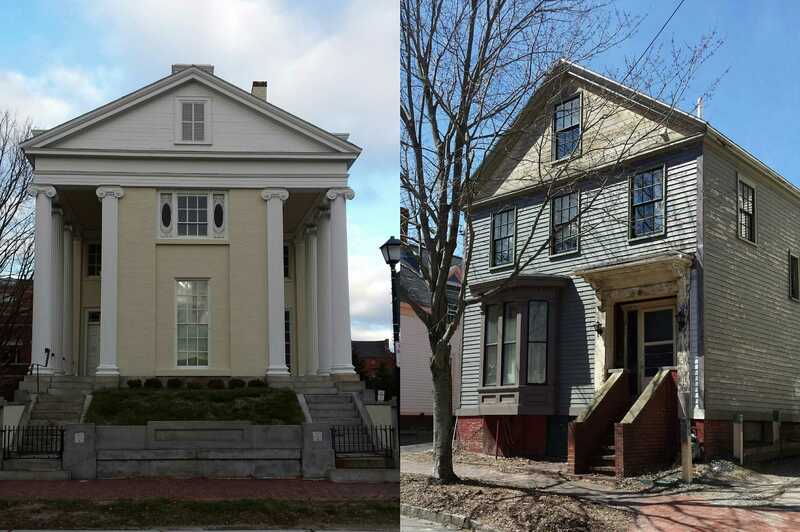 This entry was posted in Architecture, Bayside, Glimpses, Greek Revival, History, Images, Parris Street, Then & Now and tagged Architecture, Bayside, Glimpses, Greek Revival, History, images, Maine, Portland on April 30, 2017 by alewifecove.